The new Dresden Files book is out today! 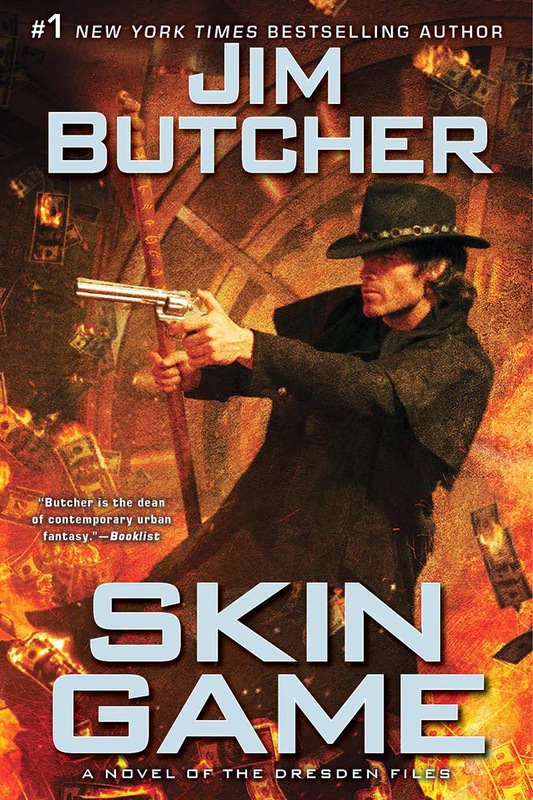 Jim Butcher's Skin Game is the 15th entry in the ongoing Harry Dresden saga. Unlike lots of long-running urban fantasy series, this one is still going strong. And I adore Harry, so naturally, I'm excited. In light of this, here are 20 ways that you can share your enthusiasm for today's release of the new book. Pepper your conversation with "hells bells" and "stars and stones"
Adopt a dog. Try not to be surprised when he seems to have mystical powers. Try to get your own fairy godmother. Actually, maybe don't do that. So that's my list today. How will you celebrate New Dresden Files Book Day — other than by reading it, of course?